Dragons Mystery is easy to play and before you can start, there are only a few things that need to get done. In the bottom left corner of the slot, you can configure the number of coins per pay line. And if you don't feel like constantly having to press the spin button, make sure to make use of the autoplay. Also, you can use to Max Bet button if you want to play with the maximum possible bet. The playing grid consists of five reels and three rows, the game does not make use of standard symbols, and the larger animations simply count as stacked symbols and can land on multiple pay lines at the same time. 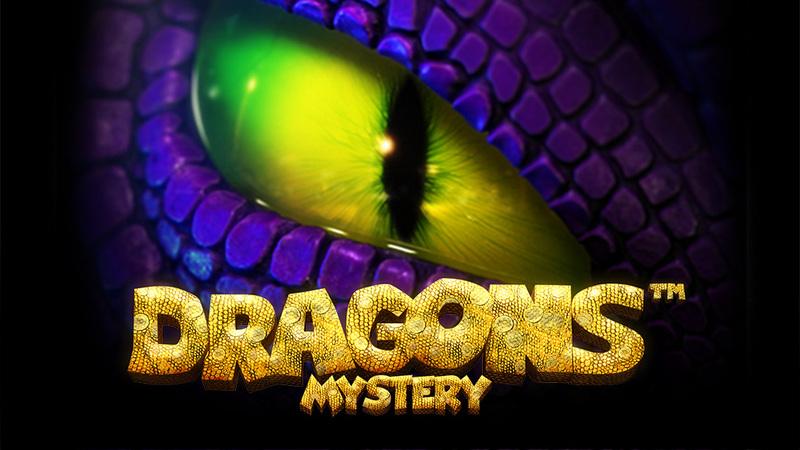 Dragons Mystery is a slot by software developer Stakelogic and is thus part of the assortment of developer Novomatic. The game revolves entirely around the little dragons, and they have been put on the reels in a great way. Make sure to also check out the background on Dragons Mystery as also there you will be able to spot some dragons. The game makes use of a wild symbol that can expand and thus lead to bigger and more wins. Luckily, there will also be multipliers. How to play Dragons Mystery? Dragons Mystery is easy to play and before you can start, there are only a few things that need to get done. In the bottom left corner of the slot, you can configure the number of coins per pay line. And if you don’t feel like constantly having to press the spin button, make sure to make use of the autoplay. Also, you can use to Max Bet button if you want to play with the maximum possible bet. The playing grid consists of five reels and three rows, the game does not make use of standard symbols, and the larger animations simply count as stacked symbols and can land on multiple pay lines at the same time. The golden coin with the dragon on it functions as the wild. And this animation is one you will want to land on your reels as often as possible. This wild will expand over entire reels in order to finish wins. After a spin, a wild will stay put for one more spin. Moreover, this feature is especially interesting because Dragons Mystery is also equipped with a multiplier. Those boxes to the right of the reels? Each time a win forms, the multiplier increases. It starts off at 1 and after the second win, it will stand at 2. Maximally, the multiplier can stand at 16. Do note that after an unsuccessful spin the multiplier drops back all the way to zero again. And however great this feature may be, it still is the only feature Dragons Mystery has. It does not have free spins, a bonus game, or a jackpot. 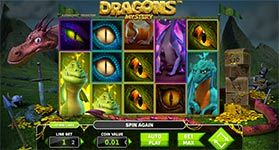 Dragons Mystery is, just like other Stakelogic slots, fitted with merely 10 pay lines. However, once you know that these pay lines work in two directions, you know you will basically be playing with a total of 20 pay lines, while still only paying for 10. All in all, the slot is a bit simple. It does not have a jackpot and other than that it only has the wild and multiplier. 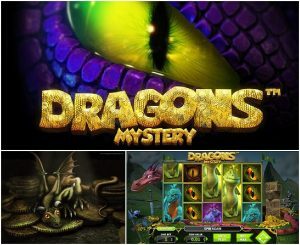 However, those who are looking for a simple and relaxed slot that is easy to play and still has some exciting elements, Dragons Mystery might be a great match. It has entertaining animations and the special wild function together with the multiplier can lead to handsome wins.